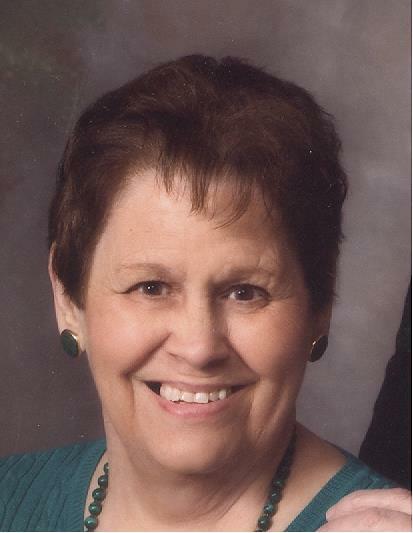 Lamb, Yvette L., 77, of Highland Avenue, Barrington, died unexpectedly on October 15, 2018. She was the beloved wife of Robert J. Lamb. Born in Nashua, NH a daughter of the late Alphonse and Pearl (DeSautel) Lafrance, she lived in Barrington for 46 years. Mrs. Lamb was a data entry clerk for the Rhode Island Division of Taxation for 17 years before retiring in 2003. Yvette was a communicant of St. Luke Church. She enjoyed spending time with her loving family. Besides her husband of 58 years, she is survived by three daughters, Laura A. Lowry and her husband Paul of Riverside, Karen J. Schryver of Chester Springs, PA and Kathleen M. Lowry of Riverside; a son, Kevin J. Lamb and Laura Costa of East Providence; ten grandchildren, four great-grandchildren; a sister, Jeanette Sweeney of Warwick and a brother, Robert Lafrance of Nashua, NH. She was the grandmother of the late Courtney Lowry and sister of the late Annette Palumbo. Her funeral will be held on Friday October 19, 2018 from the W. RAYMOND WATSON FUNERAL HOME, 350 Willett Avenue, Riverside at 9:45 a.m. with a Mass of Christian Burial in St. Luke Church, Washington Road, Barrington at 11 a.m. Burial will follow in Forest Chapel Cemetery, Nayatt Road, Barrington. Calling hours are Thursday 5-8 p.m.
My condolences and prayers to the family. We have lost touch over the years but always in my heart. Bill and I are sorry to hear of Yvette’s passing.You and your children are in our prayers.Its the laughter we will remember. Have known the whole Lamb family for over 40 years. Liked them so much, I married into the family (indirectly)! Over all the many years and many hours I used to spend at the house as a kid, I never once saw her show the slightest bit of anger. She ALWAYS had a smile and often was laughing. I can hear her laughing in my head right now. Please accept my sincere condolences and know that I am thinking about all of you at this incredibly sad time.